Who will be affected by Hobby Lobby ruling? The Supreme Court decision on whether employers must provide contraceptive coverage could affect more than just Hobby Lobby. The Supreme Court's decision on contraceptives and employer health plans could affect companies and workers far beyond Hobby Lobby and the other plaintiffs. But nobody seems to know how far. The ruling applies to "closely held for-profit corporations," a small subset of employers, Justice Samuel A. Alito Jr. wrote for the majority. But in a dissenting opinion, Justice Ruth Bader Ginsburg suggests the impact will be far broader. "Although the court attempts to cabin its language to closely held corporations, its logic extends to corporations of any size, public or private," she said. "Closely held" commonly refers to a company owned by a few insider shareholders, rather than publicly traded giants such as IBM or Bank of America. But government statisticians don't keep track of companies that way. "I've never seen data on how many closely held businesses there are out there," says Paul Fronstin, a senior researcher with the Employee Benefit Research Institute. Nor is it clear that the court's idea of closely held is the same as other definitions. For tax purposes, the IRS says a company is closely held when five or fewer shareholders control at least half the stock — as long as it's not a law firm, architectural shop or other professional practice. But the court, which makes no reference to the IRS regulation, seems to understand closely held another way. The decision applies to "corporations like Conestoga, Hobby Lobby and Mardel," the companies involved in the case, Alito wrote. What do those companies have in common? They are "closely held corporations, each owned and controlled by members of a single family," he said. The case hinged on whether regulation of corporations can impinge on the religious convictions of their owners. For retailer Hobby Lobby and the other plaintiffs, Alito argued, the company and the owners are virtually the same. At Conestoga, a maker of cabinet components, the Hahn family exercises "sole ownership of the closely held business; they control its board of directors and hold all of its voting shares," he wrote. "One of the Hahn sons serves as the president and CEO. The Hahns believe that they are required to run their business 'in accordance with their religious beliefs and moral principles.'" Such one-family companies are a narrow slice of the IRS' definition of closely held. At many companies the tax agency considers closely held, not all shareholders are related. Even Walmart, the retailing giant with publicly traded stock, seems to fit the IRS definition of closely held. A few Walton family members own more than half the shares. And closely held companies without public shares can also "be very big entities," such as Mars Inc., the family owned candy maker with 70,000 employees, said Marcia D. Greenberger, co-president of the National Women's Law Center. 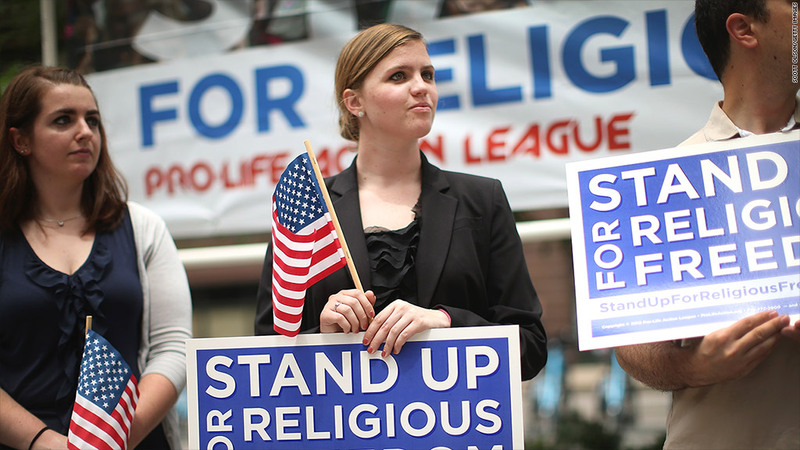 "So there's a question about how broad the reach of the Hobby Lobby decision is." That will ultimately depend on how many employers decline to offer contraception based on the ruling and whether courts allow it. "We'll have to see how broadly other corporations try to jump on the bandwagon to say, 'Me too; we don't want to provide this either,'" said Greenberger. "It opens the door for many, many lawyers to be providing all kinds of advice." KHN Senior Correspondent Julie Rovner contributed.